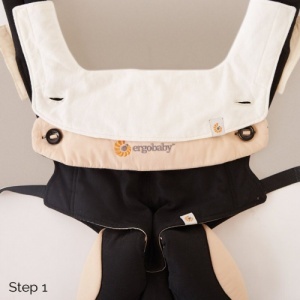 Teething babies will often turn to your Ergobaby Carrier’s straps, and when in the Front-Outward carry position, the upper portion of your carrier as well. 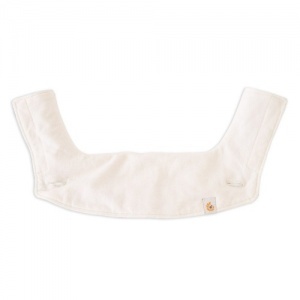 The 100% Cotton Ergobaby Teething Pad & Bib snaps to fasten right where you need it most, making it perfect for teething gums. 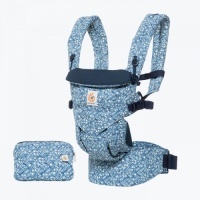 It is easily washable and keeps the carrier itself clean and dry. Our baby has taken to gnawing on the carrier. It was funny but unhygienic and a bit gross after an hour. This pad protects baby and carrier. It’s excellent quality and easy to wash and dry. Ergobaby 360 Carrier Teething Pads & Bib really helps with a teething baby while in the carrier. My little boy was getting a little rash from chewing on the material of the carrier this has stopped with the bib and teething pads. Earthmother offers an excellent service and has a great selection of very useful products. The delivery is always very speedy and the products I have ordered have all been of high quality.